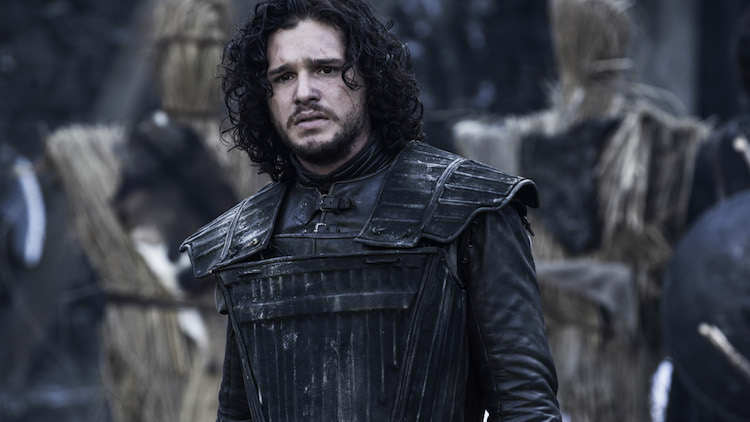 We’ve all known for a good few years now that Jon Snow knows nothing about himself. And thankfully, what we all assumed was officially confirmed in the season six finale – R+L does = J. 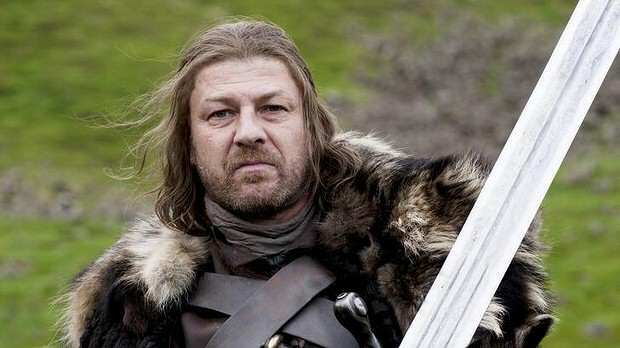 The revelation that Jon’s parents are Lyanna Stark and Rhaegar Targaryen shapes up the next two seasons pretty nicely as Daenerys heads for Westeros and Jon has control of the north – but it turns out Sean Bean knew everything long before we did, and he was dropping Jon Snow-shaped hints the whole time. 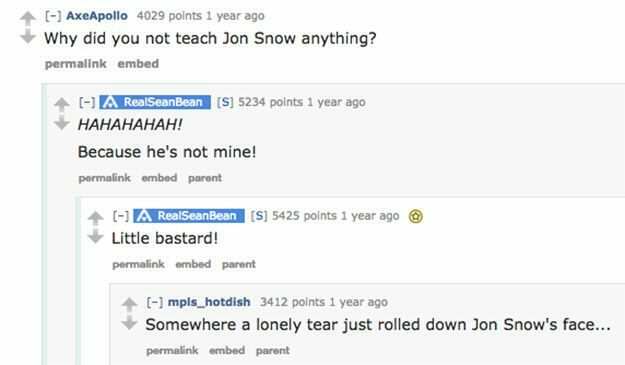 Following the much-anticipated Tower of Joy flashback scene from Sunday’s finale — which confirmed the R + L = J theory — one Redditor reminded everyone of Sean Bean’s AMA from last year, Mashable reports. 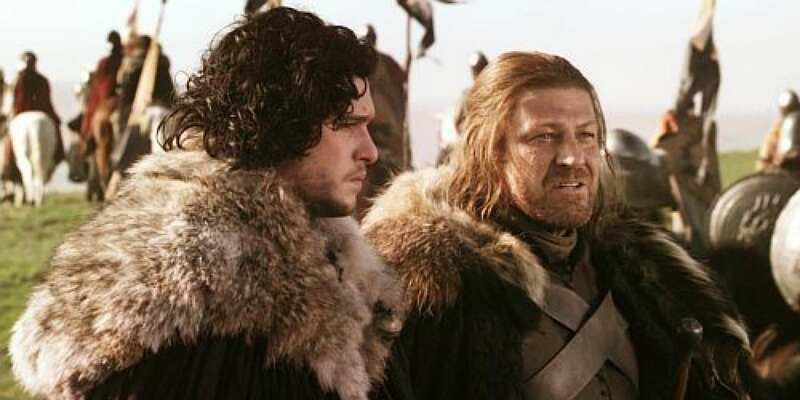 Yep — Ned Stark was dropping Snow parentage truth bombs a year before the season six finale. And that wasn’t the first time he expressed his doubts over Jon Snow’s real parents, either. In a 2014 interview with Vulture, Bean was asked about the possibility of him appearing in a few Game of Thrones flashbacks in the upcoming seasons. I’ve definitely got some unfinished business that needs to be resolved there. I’m obviously not Jon Snow’s dad. And you need that to be revealed at some point, don’t you? He’s not even hinting anymore – he’s just flat out spoiling it. How did we miss such major revelations?